My USB stick stoped working in the middle of a file transfer. Result: now the USB stick isn't recognized anymore. Windows says "the volume is empty, do you want to format it?" 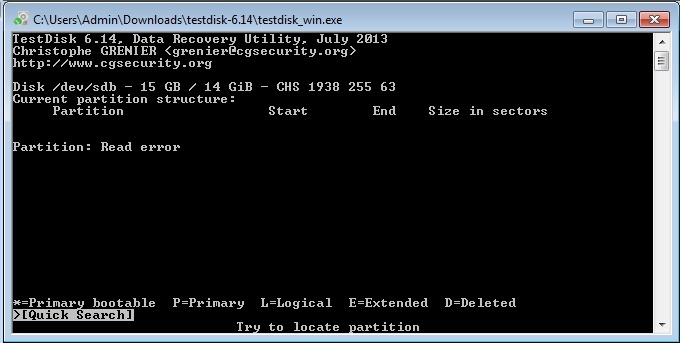 I know it was a NTFS partition with clustr size 32 because the program "Getdataback for NTFS" finds some fragments of the file system. 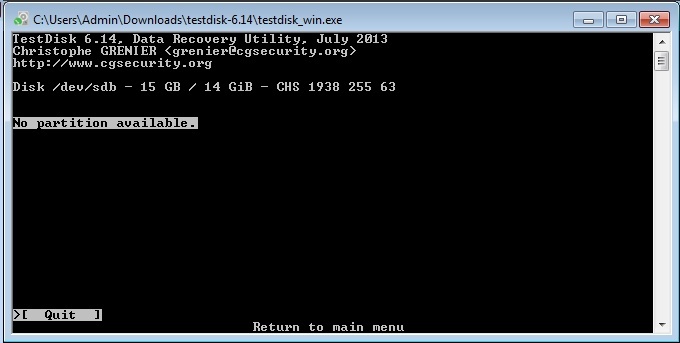 But the files and directories recovered by Getdataback are only some old data. I rcover the same data with Photorec. The important files are recent outlook .pst files which I can't find. If I choose "non-partitioned media", same result: no partition found, with many read errors. So what do you think I can/should do to get my data back? 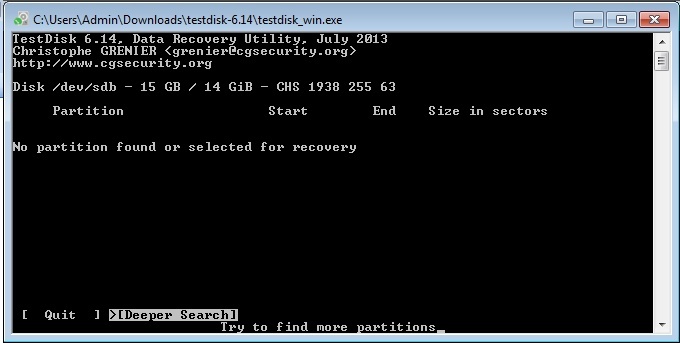 Can I recrate my NTFS partition table? Last edited by FCKUSB on 19 Jan 2014, 20:06, edited 1 time in total. 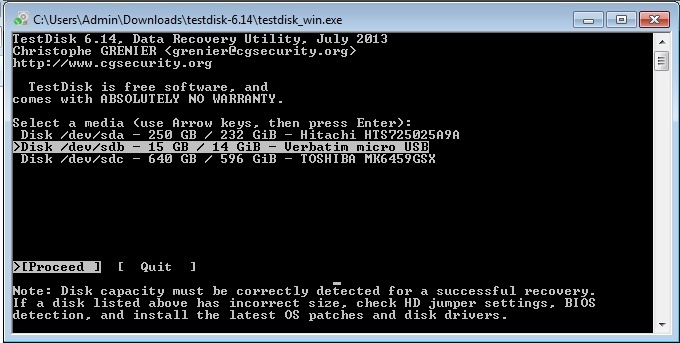 Now the USB stick dosn't appear as a unformated stick anymore, but as a disk reader without media. Looks like your flash memory is not recognized anymore but only the built in controller of your USB thumb. Partition read error and read errors of each sector often indicates that memory management like LBA (-> logical block addressing) doesn't fit anymore. Might be probably a case for datarevovery lab? You can have a try to mount your image using a cli, (command line interface) running administrator privileges, and photorec or testdisk. Yes, thank you, this is also what I though. I can recover fragments with Photorec from the Image, (like from the stick some days ago) but not the files I'm looking for. 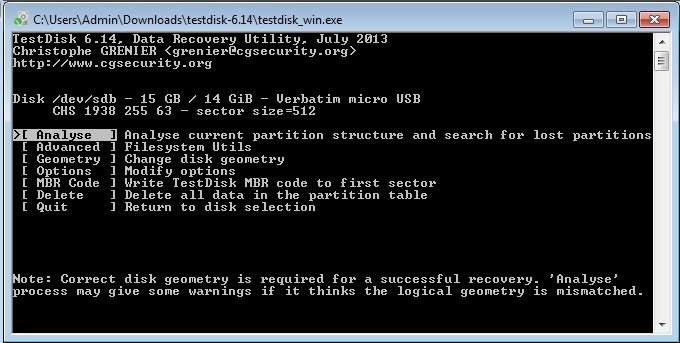 starting from the image, how can I reconstruct the NTFS partition using Testdisk? what are the options I must choose? Unable to open file or device Clé16Go.img"
It's a multifile .img image I have no clue what format uses 001Micron USB Drive Recovery, but it's the only image I have from the disc.